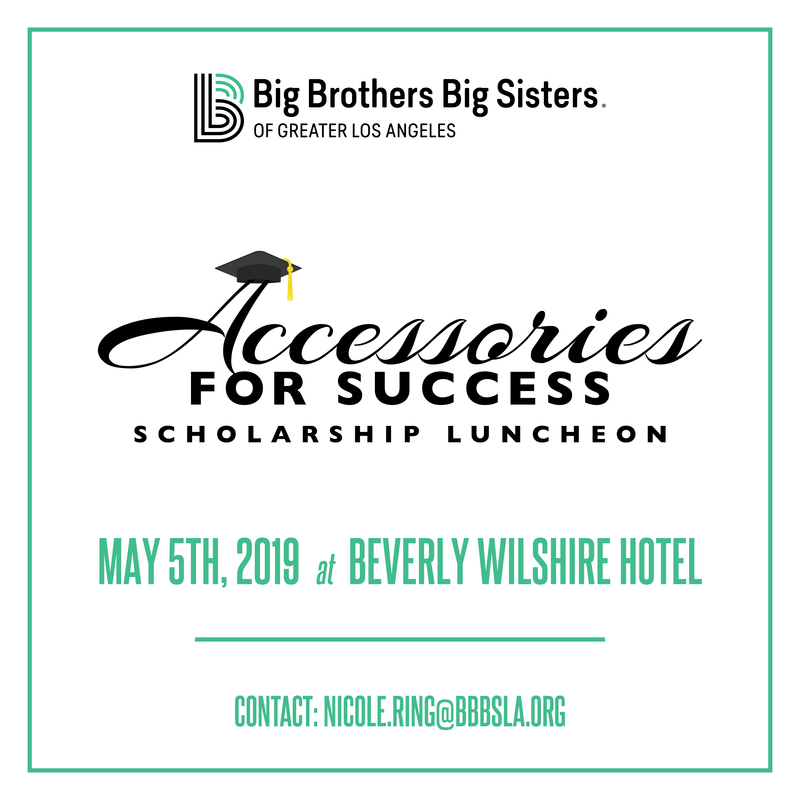 Join us for the Accessories for Success Scholarship Luncheon on May 5th, honoring Mike Daly (Disney Music Group) and Trisha Cardoso (Chuck Lorre Foundation), and featuring Bigs & Littles in a runway fashion show at the Beverly Wilshire Hotel! 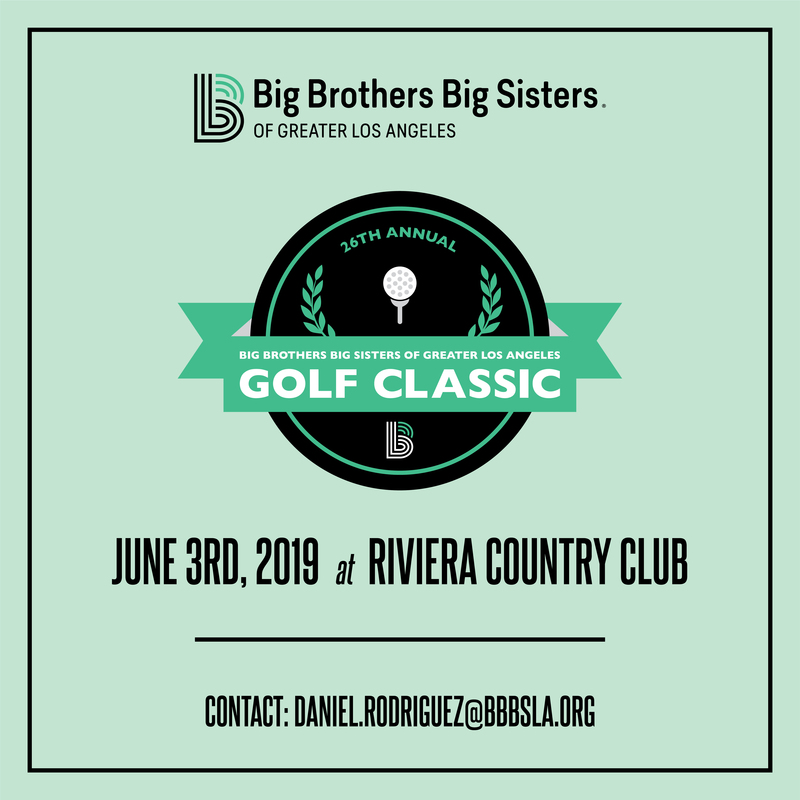 Join us for our 26th Annual Golf Classic on June 3rd at the Riviera Country Club! 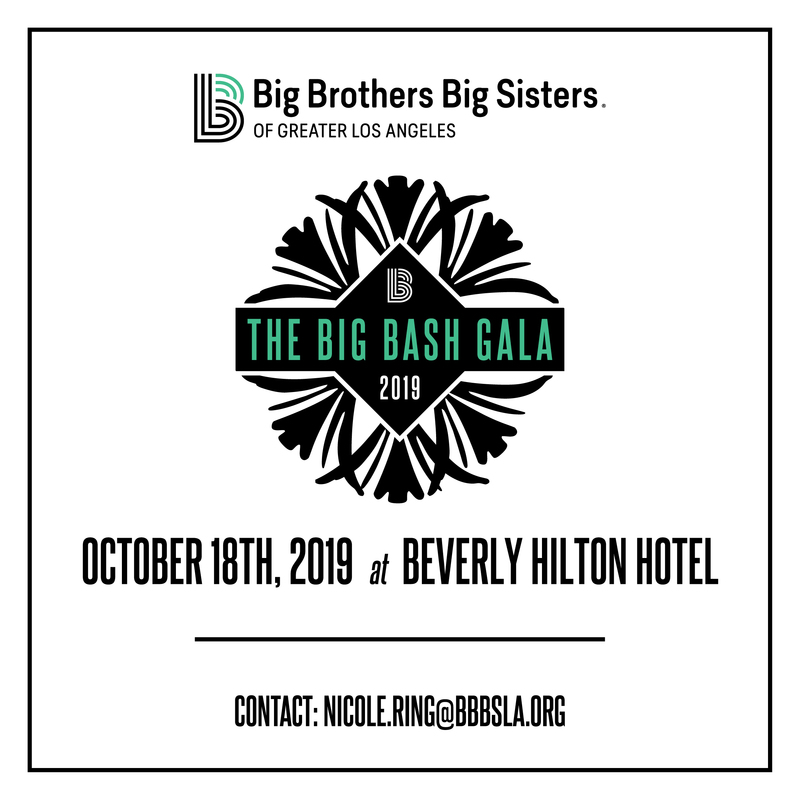 Save the Date for our 2019 BBBSLA Gala: October 18th at the Beverly Hilton Hotel!